NSW Cyclist of the Year Awards for 2017 - Congratulations to Lise Benjamin (BiciSport Master) for taking out the M7 Category for her medal haul at the National Masters Track Championships in March 2017. The awards were made at the recent Clarence Street Cup event at DGV. 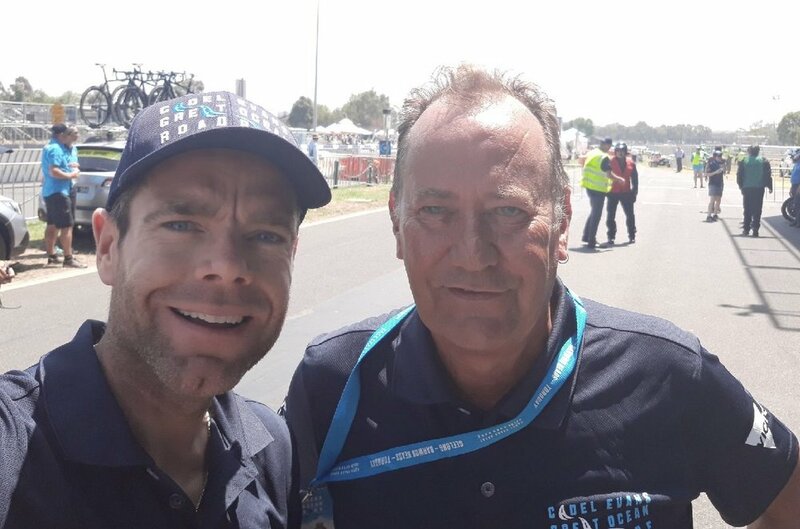 Cadel Evans Great Ocean Road Race 18 - John Elderfield (BiciSport) was the Commissaire 4 convoy driver. * Feb 4 - PLEASE NOTE THAT THE CALGA ITT (ATTA) HAS BEEN CANCELLED FOR FEB 4. NEXT RACE IS EARLY MARCH. * Feb 4 - Heffron Park (Waratah Masters), Ourimbah University Criteriums (Central Coast). 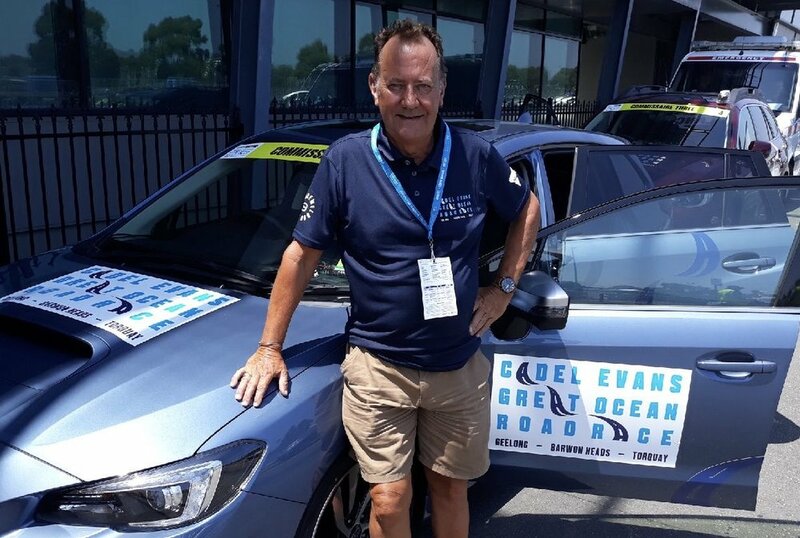 A new innovation is the Womens Herald Sun Tour which starts with a challenging Healesville road race on the Tuesday. Both men & women do the Southbank ITT on the Wednesday, then the men's stages start on the Thursday. The men's opening Colac to Warnambool stage over 161k has some excellent terrain for some aggressive racing. Stage 2 Warnambool to Ballarat on the other hand will be a 198k grind on heavy roads and lets hope it isn't too hot. Stage 3 is a monster with 218k (!!) 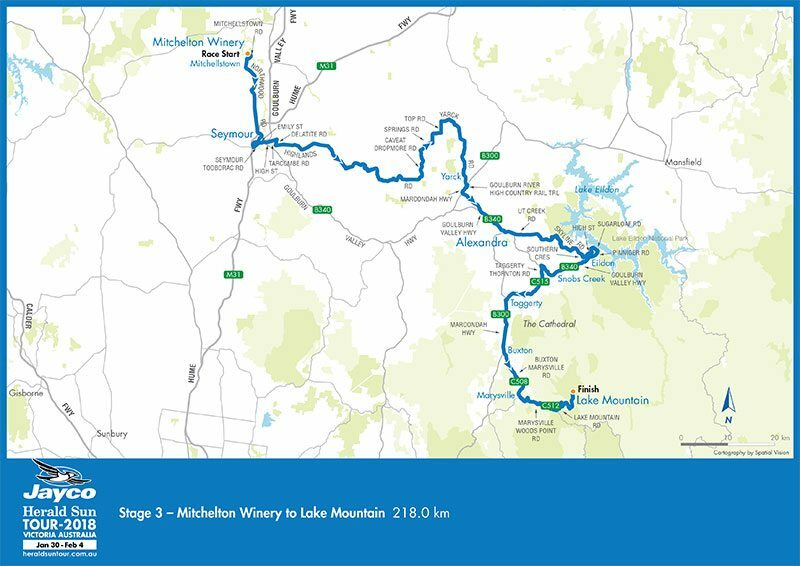 from Mitchelton Winery via the Strathbogie Ranges into Alexandra, then finishing with the climb of Lake Mountain. This would be a difficult stage no matter what time of the year, but in February it will be something else. Stage 4 around Kinglake is similar to say the West Head Road in the Ku Ring Gai National Park, but now the stage has an extra lap added (4 laps last year, 5 laps this year).